TNPSC Group 4 Result 2018 Highlights: All the candidates who had appeared for the examination can check the results through the official website, tnpsc.gov.in. TNPSC Group 4 Result 2018 Highlights: Tamil Nadu Public Service Commission has released the results of Group 4 and VAO combined civil services examination – IV. All the candidates who had appeared for the examination can check the results through the official website, tnpsc.gov.in. The exam was conducted in the month of February to fill 9351 vacancies. The cut-off marks have also been released on the official website. The marks may vary according to the posts. The candidates can check the cut-off marks through the official website, tnpsc.gov.in. 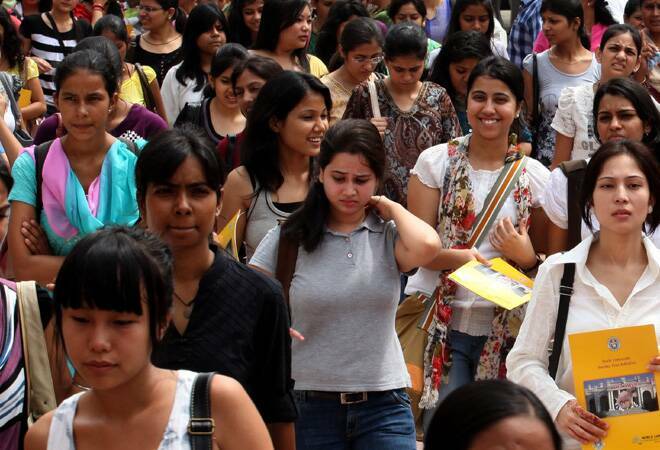 A total of 17.53 lakh applicants appeared for the Group IV exam and among them, over 14 lakh have qualified. Currently, there are 11, 280 vacancies for VAO, junior assistant and typist posts. The candidates will be called in 1:3 ratio for certificate verification and they need to upload their certificates from August 16 to 30. The counselling authority will allow only one-person (parent or guardian) can accompany the candidate for the entire process. They need to carry any one of the photo ID proof in original — passport, driving license, voter ID, PAN card, Aadhaar card. A copy of the photo ID proof of the person accompanying the candidate shall be submitted at the verification counter. The candidates need to verify these following documents — admit card, proof of nationality, voters id card, Aadhaar card, a copy of online application form, HSC (Class 12) mark sheet, SSC (Class 10) mark sheet, health certificate at the time of online document verification process. TNPSC Group-IV results 2018: The candidates who will submit the evidence for claims during the counselling process has to submit it at the time of document verification process. The candidates application may get rejected if they fail to submit the documents within the said time. The person who gets a job in government offices need to produce No Objection certificate from a current employer at the time of certificate verification/ counselling. The commission will send the date for counselling and other details to the applicants through SMS and e-mail. 'The details will be made available on the Commission's website. Applicants will be informed of the above fact only through SMS and e-mail,' reads the official notification. Tamil Nadu Public Service Commission has also released the cut-off marks on the official website, tnpsc.gov.in. The marks may vary according to the posts. All the candidates who had appeared for the examination can check the results through the official website, tnpsc.gov.in. The exam was conducted in the month of February to fill 9351 vacancies.